Did you know that just outside of Park City, theres a wide open range of activities that you can enjoy all year round? Heres a quick look at one our favorite of the outlying areas  Heber City  and things you can do and see there. Heber City is located just 15 to 20 minutes from Park City and is a wonderful town to visit. If you are a golf enthusiasts there are two great courses  The Homestead and Wasatch State Park. Both of these courses offer golfers beautiful scenery to enjoy a round or two. Youll also find another 2 courses at Soldier Hollow State Park, which was the site of many of the Nordic events during the 2002 Olympics. Railroad enthusiasts should not miss the historic Heber Valley Railroad. This attractions travels between the Heber Valley and Vivian Park in Provo Canyon and offers some spectacular scenery along the way. In nearby Midway at the Homestead Resort, go diving in the Homestead Crater. This is a tower 55-feet tall, beehive shaped geo-thermal dome filled with 90 degree water. This is a favorite spot for scuba divers and other that want to experience an underground phenomenon. Ice Castles in Midway is open from late December to March (weather permitting) and offers visitors a winter wonderland full of extreme ice sculptures. You can walk through archways, tunnels, glossy rooms during this architectural ice adventure. The Jordanelle Reservoir and State Park offers a wide variety of recreational adventures. You can go boating, skiing, or paddle boarding on this expansive body of water. Fishing is abundant, and for those who prefer dry land, there are miles of hiking trails. If you are looking for a snow-based adventure that doesnt involve skis or boards, check out Soldier Hollow Tubing. This attraction features 1,200 foot lift-served sliding lanes. You can enjoy this winter fun day or night, and youll love the wonderful sound system filling the air with your favorite tunes. Take a tasty break and visit the Heber Valley Creamery. This creamery offers a variety of artisanal cheese and other dairy delights such as raw milk and ice cream. There are also several historical sites that you can visits such as Heber Fort and the Heber City Cemetery. One perennial favorite is the Commemorative Air Force Utah Wing Museum. This museum is home to many historic planes including many from World War II. If you are interested in knowing more about this fantastic area, feel free to contact us! Posted in Park City Neighborhoods | 0 Responses to "Things to do in Nearby Heber City and Beyond"
With winter now upon us how did sales at Park Citys local golf communities fare for the summer 2015 season? 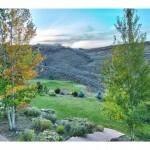 Here is a review focused on property adjacent to Park Citys the golf courses. The Old Town and Thaynes Canyon areas have homes and condominiums on and near the golf course. There is currently one active new construction home on the course and two that sold this summer. 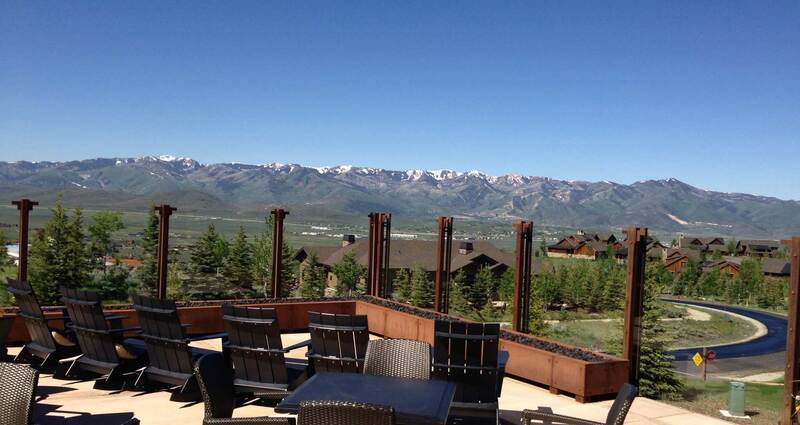 There are five condominium complexes on or near the course (Three Kings, Park Avenue, Hotel Park City, All Seasons and Payday); there are currently eight active listings, one pending sale and nine completed sales this summer ranging from $345K-$1.2M. 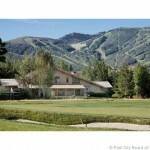 The community around the Park Meadows golf course is one of Park Citys most desirable areas. While there are 37 active listings in the area, only four are truly on the golf course asking prices start at $1M for a condominium and $1.549 for a single family home. Of the 28 sales in the area this golf season, only 2 were on the course. The gated community of Glenwild surrounding the course that usually receives Utahs number one golf course ranking saw a bump in sales this golf season with four sales although none were on the course. There are still twenty homes for sale in the area but there are also ten homes in some stage of construction which we believe is a strong positive sign for the area. Six of the available homes are on the golf course with prices ranging from $2.1M to $10M. With over 700 residences, not many of the homes and condominiums in Jeremy Ranch are truly on the golf course, but of the 43 sales this golf season, six were on the golf course. Prices ranged from $585K to $1.3M. Of the 36 homes currently on the market in Jeremy six are on the golf course including one of the few available building lots offered at $360K. Homes range from $885K to $1.9M for golf course side homes. The Promontory area encompasses much more than golf and the area itself represents nearly 10% of the sales in the Greater Park City area. Eight of the 32 homes sold this golf season were on the golf course with prices ranging from $1.055M to $4.15M. 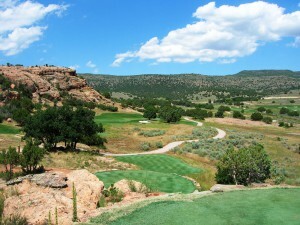 Currently 14 of the 62 available homes are on one of Promontorys two world class golf courses. None of the twenty homes currently listed for sale at Red Ledges are truly on the golf course but approximately ten of the building lots are adjacent to the course. Plus there are a few lots that will be on the recently sodded par 3 course due to open next year. 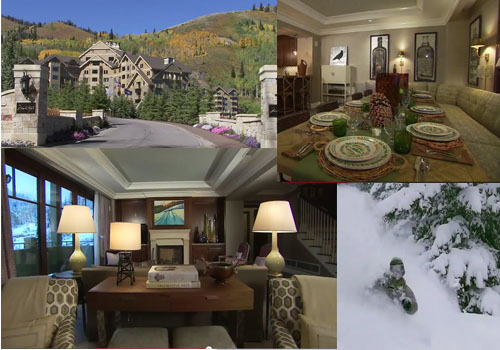 While not truly in Park City, Red Ledges is an easy drive to Park City and has many amenity associations with Park City and Deer Valley Resort. Similar to Red Ledges, there are very few options that are truly on the golf course at Victory Ranch and at this point any options would be building lots rather than homes. Many sites will provide great golf course views, but few will be actually on the course. Victory Ranch is the most remote of Park Citys golf course communities, but a clubhouse lounge on Main St gives it great ski access during the winter. Golf in Park City can be as long as an eight or nine month season for those willing to bundle up (clubs are still in my car today on Nov. 6) and sometimes the best deals can be found when the fairways are covered in snow. Contact a golf course home specialist at YouInParkCity.com now and get a jump on the 2016 season. Posted in Park City Golfing, Park City Neighborhoods | 0 Responses to "Park City Golf Course Home Sales 2015"
W inter preparedness is essential in the Park City area, especially when it comes to your home. When you properly care for your home during the cold months, it can not only keep you warm, but can also maintain your property values. 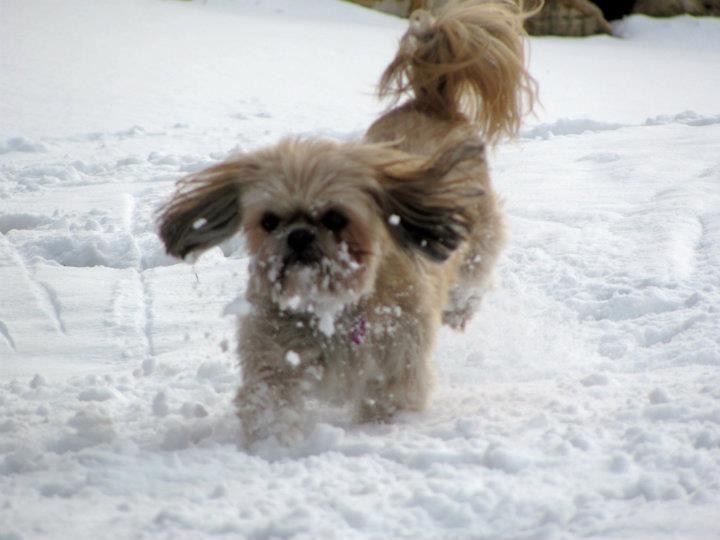 Here are a few tips for winterizing your home. Drain your outdoor watering systems. You should drain and blow out your sprinkler systems. In addition, you should ensure that your outdoor spigots are drained as well. Ensure that your pipes are well insulated. Proper insulation of your pipes can help prevent pipes from freezing and bursting. If your pipes are not well insulated, you should have your faucets open to a trickle to prevent freezing. Install weather stripping. Use caulk and weather stripping around any doors and windows that may have large gaps that allow cold air in. You can also use expanding foam. Using shrinkable plastic over leaky windows can also help keep the cold air out. Exterior drains and gutters should be free of debris. If your gutters and drains are not clear, they may back up when the snow melts. This can cause them to get weighed down and break, which can be costly to repair. Tune up your furnace. Your furnace should be checked by a professional about every other year. Additionally, your furnace filters should be changed regularly. These steps will ensure that your furnace is working efficiently. Also, the filters collect dust and debris so when they are dirty, your furnace may have to work harder to warm your home. Have your chimney inspected. Soot can collect in chimneys and clog it, which can be a fire hazard. Have your chimney inspected each year before the winter season to prevent serious issues. Cover your outdoor furniture. Put a cover on your grill and any other outdoor furniture. Over time, cold and snow can damage wood and metal. Proper home maintenance can help you avoid costly repairs, as well as help you keep your property in the best shape possible. If you would like more home care tips, the professionals at YouInParkCity.com and KW Park City Keller Williams Real Estate have the knowledge and experience to help you. 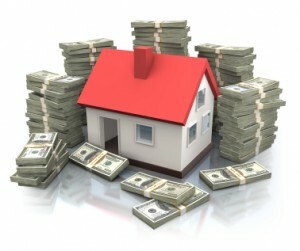 If you are interested in selling or purchasing properties in the area, we can also help guide you through the process. We are here to help! Posted in Park City Neighborhoods, Park City Real Estate Notes | 0 Responses to "Home Upkeep during Winter: How to Keep Your Property Values Up Through Proper Winter Home"
Real Estate information for the Pinebrook area of Park City, Utah as of Memorial Day Weekend 2015. The Pinebrook area of Park City remains a desirable primary home as well as second home location offering great trails, parks, local amenities and easy access to Park Citys Resorts and Main St. as well as Salt Lake City. The current housing market in Pinebrook mirrors the real estate market in Park City with limited supply of homes and condos for sale and great Buyer demand. There are 18 active Single Family Home listings across the Park City Board of Realtors MLS with prices ranging from $449,000 to $1.5 million. There were 18 sales in the past six months ranging from $550,000 to $1.2 million. This translates to a six month inventory supply (a limited supply in terms of Park City due to its combined primary and second home nature). Looking back at the same time period last year, there were also 18 single family home sales BUT the values of the homes sold has increased dramatically. In the last six months there were six sales over $900,000 while the same time last year had zero. Of the eight current pending sales three have asking prices over $1.3 million. The median sales price over the past six months was $797,125 while for the same period last year it was $696,500. The lack of Pinebrook homes and condominiums for sale represents obstacles for both Buyers and Sellers. The YouinparkCity.com group at KW Park City Keller Williams Real Estate is ready to help you navigate the Park City real estate market. For Buyers we will educate you and keep you informed of market changes, recent sales, pending sales, back on market listings and homes not available on the MLS. In todays market finding a house is often the easy part; negotiating the contract, working through the discovery and remediation processes of due diligence, navigating the financing appraisal hurdles while keeping a cool head with a focus on the end goal are just part of what we do. For Sellers we pre-market and market your home in such a way that the buyers and their agents are educated to the value it represents to ensure you get the most you can from your home with the least amount of hassle in a timeframe that suits your needs. Similar to the Buying side, getting an offer is often the easy part of the process; negotiating for you while navigating multiple offers, repairs, addenda, title issues and more again are just part of what we are doing behind the scene of your sale. If you or someone you know is thinking of buying or selling a home or condo Pinebrook or the greater Park City area, contact a YouInParkCity.com realty professional. 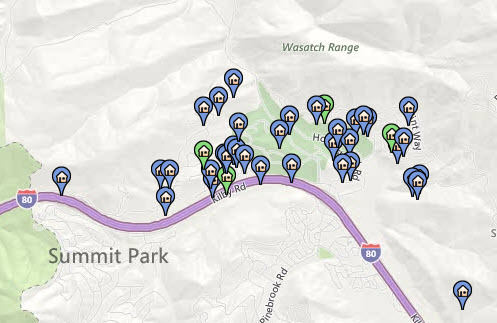 Posted in buyers, Park City Neighborhoods, sellers | 0 Responses to "Pinebrook Real Estate Park City 2015"
A look at sales for 2010 shows that the Promontory Club area of Park City was one of the sales "hot spots". 87 Homes and Vacant Lots were sold in the Promontory area during 2010. This accounts for over 9% of all the sales in the greater Park City area for the year. To date there have been about 800 lot sales in Promontory and there are currently about 300 completed homes with another 25 under construction. The Promontory area was hit hard by the economic downturn, but recent indications show that investors and value shoppers are buying the deals up quickly. The developer is waiting to release new areas and building lots when they feel that prices and inventories warrant new product. Promontory executives currently consider any lot priced under $300,000 or home priced at less than $300/sq ft to be a distressed sale. Given these parameters, all but one of the 52 lots that sold last year were distressed, and nearly 70% of the 35 homes that sold last year were distressed properties. A look at the current inventory shows an inventory level of slightly more than one year for vacant lots, but most still fit within the developer's distressed category (there are 64 lots for sale in Promontory and 50 of them are priced under $300K, ten are actually under $100K). Current available Single Family Homes in Promontory total 74 including 4 bank REO's and 8 short sales with a total of 19 being offered at less than $300/sq ft. The offerings in the distressed category (less than $300/ sq ft) represent less only 10 months worth of inventory at last year's absorption rate. To put this number in perspective, the absorption rate for Park City as a whole is over 24 months. 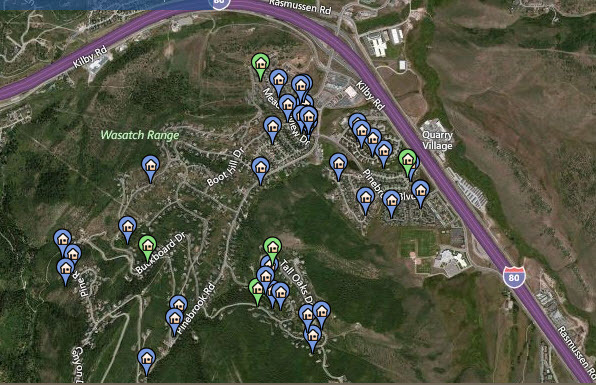 So far this year, 8 sales have closed in the Promontory area of Park City and there are 20 sales pending. Current trends show prices within Promontory on the rise and inventory levels falling. The deals are getting harder to find and Buyers need to react quickly. Current levels of distressed homes in the greater Park City area are down considerably from their peak. 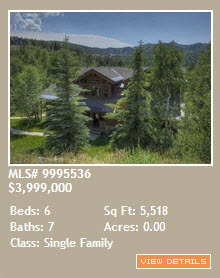 For more Promontory Ranch Club information and assistance finding the Park City home that is a "steal" in your book, contact a realty professional with YouInParkCity.com. 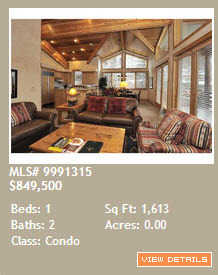 Posted in buyers, Park City Economy, Park City Neighborhoods, Park City value | 0 Responses to "Promontory Steals Getting Harder to Find"
If you are looking for a Park City Condominium with easy access to skiing but in a setting that is a little off the beaten path without the "hustle and bustle" of condos within the Park City limits, you may want to consider the Jordanelle area when searching the web for Park City Real Estate. There are a couple of great options on the south side of the Jordanelle Reservoir that are just a few minutes from Deer Valley Ski Resort's gondola. Access to the Jordanelle Reservoir is quick as well if you like water skiing, boating, fishing or sailing. Another advantage to the Jordanelle area of Park City real estate is that you are only about 15 minutes from Park City's historic Old Town or Kimball Junction when you decide you want to do a little shopping or enjoy one of the many exceptional restaurants. Heber City and Midway, UT are also just minutes away to the south. 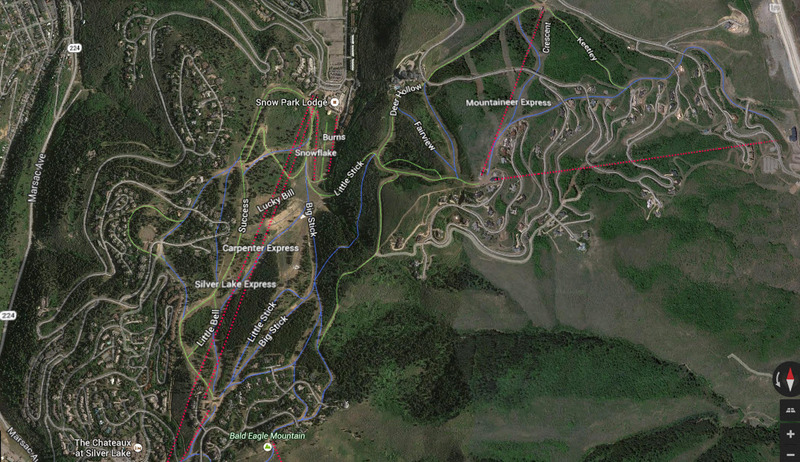 The Jordanelle area has the ability to at some point become a viable base area for Deer Valley Resort and a community of its own with restaurant and retail facilities and multiple hotels and housing options. As with most homes or condos in Park City, the south side of the Jordanelle is only about 35 to 40 minutes for Salt Lake International Airport. If you want a condominium, the Fox Bay condominiums may be a great option in the area and are definitely worth considering. These 1028 square foot two bedroom two bath condos have many amenities including underground parking, a pool, spa, recreation room, fitness room, playground and a fenced basketball court. The recreation room comes complete with a big screen television, pool table, ping pong table and small kitchen. The fitness room and play ground are well equipped if you or the kids have any energy left after a day of skiing. Fox Bay has an active HOA working hard to ensure the safety and cleanliness of the area as well as encouraging community activities. The price for a Fox Bay condominium currently range from around $210,000 to S244,900. Fox Bay prices reached a high of $347,000 in 2006 and represent a very good value now. Be aware that if you see a price significantly below this price range it may be a deed restricted condo. Deed restrictions are base on average household incomes in Wasatch County, UT. For photos and property searches of Fox Bay condominiums go to the Fox Bay at Jordanelle page of the YouInParkCity.com website or call (888)968-4672. 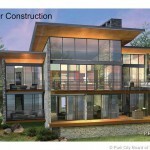 Posted in buyers, Park City Neighborhoods, Park City Real Estate Notes | 0 Responses to "Park City Real Estate's Jordanelle Area"
More than just the skiing, it is the community and local amenities that make Park City Real Estate Valuable. 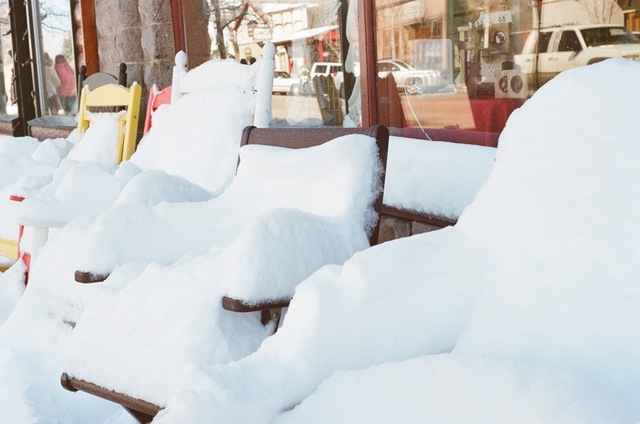 Ask a local why they live in Park City, UT and many will answer that they came here for a winter and never left. In this ongoing blog chapter we will talk about some of the many things that make Park City, Utah a special place to live and own real estate. The Kimball Art Center is Park City's nonprofit community art center. Located in the heart of Historic Old Town the Kimball is considered by many the hub of the arts in Park City. Most renowned for hosting the Park City Arts Festival, one of the top art festivals in the country the Kimball Art Center also has classes for artists of all ages and abilities. While I take at least one class a year one of my favorite things do is the monthly Friday night gallery stroll which starts and ends at the Kimball and includes a stop at all of the galleries in Old Town. Most galleries provide beverages and light hors d oeuvres. Of course the center also hosts some fantastic exhibitions featuring both local and nationally known artists. Like the Park City Transit System the Kimball Art Center is free to the public. While the Kimball has no affiliation with the Park City Real Estate community it is considered by many locals and potential home buyers to be one of the important amenities that make Park City such a great place to live or vacation. For a list of events or classes at the Kimball visit their web site at kimballartcenter.org or visit the YouInParkCity.com events section at youinparkcity.com/events. If you stop by the Kimball and have any questions about Park City Real Estate stop by our office at 693 Main Street located right next door to the lower level entrance to the Kimball and ask for Rob or Todd. 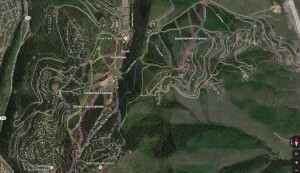 If there is a Park City community amenity that you have questions about, drop the YouInParkCity.com Group an email. Posted in Park City Neighborhoods, Park City value | 0 Responses to "What Makes Park City Real Estate Valuable? #3"
What Makes Park City Real Estate Valuable? The Park Record is Park City's local newspaper. The paper comes out bi-weekly on Wednesdays and Saturdays. You can receive the paper by mail, or purchase it at many local outlets and distribution boxes for $0.50. It is also available online at http://www.parkrecord.com/. The Park Record is a great avenue for learning about what is going on in Park City. When someone walks in the front door here at the Keller Williams office at 693 Main St in Park City asking about what is going on in town, I recommend the Park Record as one of the best resources. It isn't your source for national or world news. The paper is full of articles about local residents, local businesses, local politics and happenings. The paper is a great source for retail and restaurant specials, job openings and long term rentals. Posted in buyers, Park City Neighborhoods, Park City Real Estate Notes | 0 Responses to "What Makes Park City Real Estate Valuable?"